SUPER EASY TO USE: Press "ON", stick it into the meat, and PRESTO! 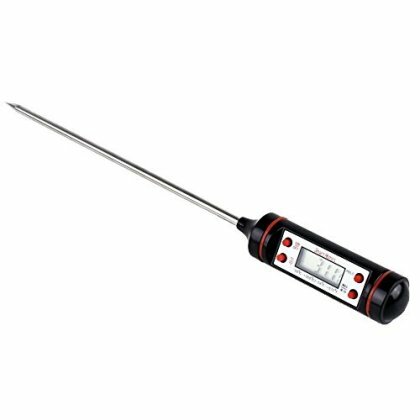 You get an accurate temperature of up to 0.1 C/F in mere seconds! EXTREME VERSATILITY: With a temperature measurement range of -50C (-58F) to 300C (572F), you instantly become your own unstoppable kitchen master chef! INTELLIGENT SHUTOFF: Forgot to turn the thermometer off? No problem! Your SmartHomes Digital Thermometer automatically shuts off after 10 ~ 15 seconds of idle time.